Heat wreaks havoc on computers, especially laptops. Tight cases and dust buildup can lead to poor air circulation, and without circulation, the heat generated inside has nowhere to go. Indeed, ignoring heat problems is the surest way to destroy a laptop 5 Ways To Utterly Destroy Your Laptop, Slowly But Surely 5 Ways To Utterly Destroy Your Laptop, Slowly But Surely Your laptop is a fragile piece of machinery. It’s a complex system packed with fast hardware, yet it also finds itself in constant use. This is how you prolong its lifespan. Read More . You thought it slowed down because it’s old and contains outdated hardware? That’s partly true, but not the whole story. Heat can severely impair the performance of computer components, with hard drives being the most susceptible. If your hard drive seems like it’s dying 5 Signs Your Hard Drive Is Failing (And What to Do) 5 Signs Your Hard Drive Is Failing (And What to Do) Since a majority of people today own laptops and external hard drives, which get dragged around quite a bit, a realistic hard drive lifetime is probably around 3 - 5 years. This is an extremely... Read More , first check the internal temperature. Fortunately, checking temperatures is as easy as using one of these free apps. If your chief concern is the temperature of a hard drive, look no further than CrystalDiskInfo. This is a dedicated utility for managing the health of HDDs and SSDs, and is so useful that we consider it a must-have diagnostic tool for Windows users 13 Windows Diagnostics Tools to Check Your PC's Health 13 Windows Diagnostics Tools to Check Your PC's Health Use these computer diagnostic tools to run a PC health check and fix issues. Some support Windows 10 diagnostics, specifically. Read More . With its clear and easy-to-use interface, you’ll have no trouble navigating all the information it has for you. And with all of its advanced features, it’s practical enough for power users, not just newbies. Monitors temperatures for all system HDDs and SSDs. Health Status estimates the overall health of each drive. In-depth diagnostics for all read/write drive values. In-depth graphs for HDD and SSD values over time. Available in 32-bit and 64-bit, installed or portable. Core Temp is my go-to temperature monitor because it’s fast, accurate, and flexible. However, a word of warning: the installer comes with bundleware! You can avoid it by unchecking it, but you have to pay attention during installation. Otherwise, there are no ads. System tray icon with real-time information. Pick which sensor to display in the system tray icon. Overheat protection notifies when the temperature is too hot. Tracks system hardware details for reference. Checks for BIOS and Driver updates. HWiNFO is a lightweight diagnostic tool for gleaming in-depth hardware information and monitoring systems in real-time. It’s a lot easier to use than it sounds. Plus, it’s actively updated — a new version about once every 1-2 months, which is great for cutting-edge systems. 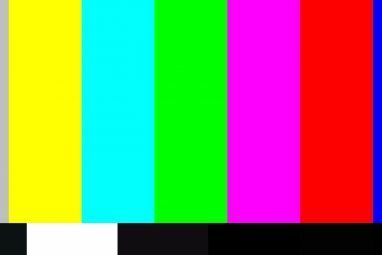 Reports for CPU, RAM, HDDs, SSDs, battery, and more. Allows remote monitoring of sensor data. HWMonitor is one of the most trusted system monitoring apps currently available. The free version is more than enough for keeping tabs on temperature, but there is a Pro version with advanced features (e.g. graph generation) for €20. Read any sensor with voltages, temperatures, or fans. Save monitoring data to a log for troubleshooting. If you’re running Windows on a Mac How to Run Windows 10 Natively on Mac: The Good, Bad, and Ugly How to Run Windows 10 Natively on Mac: The Good, Bad, and Ugly While Mac OS X works well for most tasks, there are times when it just can't do what you want it to. More often than not this means running Windows on your Mac. Read More , things get slightly tricky because the hardware in a Mac has a few proprietary quirks. The good news is, there’s a free app designed specifically for you and it’s called Macs Fan Control. It’s easy to use and I highly recommend it. System tray icon with real-time temperature. Set custom min/max fan RPMs based on sensor values. Supports sensors for third-party HDDs and SSDs. Supports every model: iMac, MacBook, Mac Mini, Mac Pro. In addition to potential hardware damage, high system temperatures are problematic because they cause your laptop’s fans to work overtime. A hard-working fan wears out faster, but more importantly, fast-spinning fans are loud. Much louder than you’d anticipate. 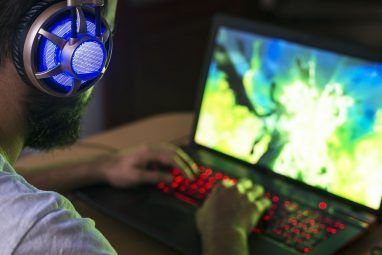 Of the many ways to silence noisy laptop fans 5 Things You Can Do to Silence a Noisy Laptop Fan 5 Things You Can Do to Silence a Noisy Laptop Fan Over time, laptop fans get covered in dirt and dust. 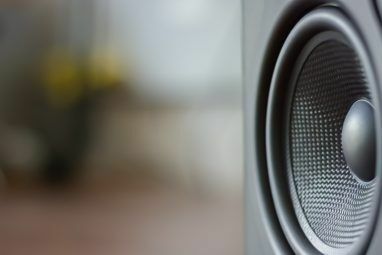 We show you how to improve the performance and reduce fan noise of your system. Read More , the easiest is to use SpeedFan to manually control fan revolutions per minute (RPM). What’s nice is that SpeedFan also has features for monitoring temperature, so it’s like a 2-in-1 app — just not as advanced as the others above. Adjust and fix incorrect temperature readings on sensors. Chart values over time for troubleshooting. Open Hardware Monitor is similar to HWiNFO and HWMonitor, except that it’s open source. It has two big downsides: updates are slow (once every year or two) so it may not be able to read sensors on newer systems. For older systems, it should be perfectly fine. Read most sensors with voltages, temperatures, or fans. Save sensor data to a log for troubleshooting. Display data on a remote web server. Portable, so no installation needed. Make sure you check temperatures when your laptop is idle (with no apps running) and under load (with performance-heavy apps running). A high idle temperature can be just as degrading as a high spike under load. Learn more about how hot is too hot for a PC PC Operating Temperatures: How Hot Is Too Hot? PC Operating Temperatures: How Hot Is Too Hot? Excessive heat can damage your computer's performance and lifespan. But at what point is it overheating? How hot is too hot? Read More . If it is running too hot, don’t worry. You have options. 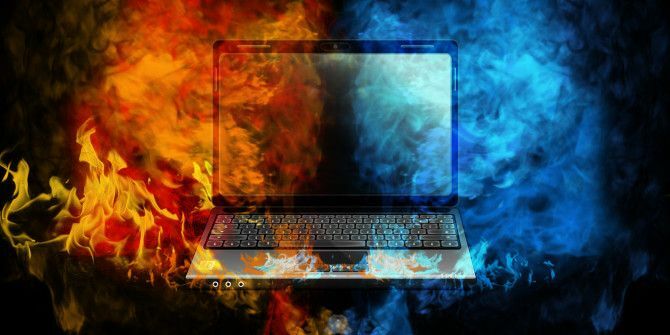 We have plenty of tips on fixing an overheating laptop How to Fix an Overheating Laptop: 3 Key Tips and Solutions How to Fix an Overheating Laptop: 3 Key Tips and Solutions The greatest threat to your laptop is overheating. Here's how to cool down your laptop and prevent it from getting too hot. Read More and several more tips on keeping your PC cool How to Prevent Computer Overheating & Keep Your PC Cool How to Prevent Computer Overheating & Keep Your PC Cool Overheating computers may lead to unexpected shutdowns, lost data, and hardware damage. We'll show you how to read computer temperatures and simple ways to keep your PC cool. Read More . The most effective steps are to clean out internal dust, always use on a hard flat surface, and supplement with a laptop cooling pad. These steps will make your hard drive last longer How to Care for Your Hard Drives and Make Them Last Longer How to Care for Your Hard Drives and Make Them Last Longer Sometimes an early death is the fault of the manufacturer, but more often than not, hard drives fail earlier than they should because we don't take care of them. Read More . How hot is your computer running? Share your temperatures in the comments below, and if you have any unanswered questions, feel free to share those as well. Explore more about: Computer Maintenance, Overheating, Portable App, System Monitor. I have an HP probook 4320s. After 3 years my laptop started to shutdown unexpectedly at the beginning after 2-3 hours and the last month after mostly half an hour. Firstly I bought Zalman NC 2000 cooling pad and I downloaded Speecy to monitor temperatures. I use Google Chrome and i noticed that if i open more than one tabs then temperature move to 90 degrees Celsius and the laptop turned off. Then I dissassemble the laptop clean the fan, change thermal paste. It worked for two days and then it started again. Finally, I noticed that I couldn't hear the fan. So i replace it. Now its okay with temperatures moving at around 49-51 Celsius degrees. i suggest using Real Temp. tho, i had a hard time installing it coz it doesn't support my processor. but once you have it, you'll definitely love it. I suggest you use Real fan since the first display basically shows the temperature and not much else. Take what you need from the program if that's all you need. Chances are you would know if you needed anything else. No offense Mike, but rather than complain about the content, how about adding some links to these programs you mentioned. You do realise that all the programms you list, monitor cpu temperature. Only SpeedFan can report HDD temperatures, but there are more specialized programs to report and monitor HDD temperatures, and even report the SMART status of your drive. This post would have been ok if it was for CPU temperatures, but these programs have nothing to do with HDDs. Speedfan not only monitors your temps but has the ability to control the fan too if your PC is recognized ... I used to use it to keep the fan going 100% of the time on my old PC.